Assembly Bill 1243, which was signed into law in 2007, replaced the terms “absentee ballot” and “absent voter” in state law with “vote-by-mail ballot” and “vote-by-mail voter,” respectively. Furthermore, people who want to register to vote by mail on a regular basis will no longer be referred to by law as “permanent absentee voters” or “PAVs.” Instead, they’ll be known as “permanent vote-by-mail voters” or “PVBMVs. Registered voters can apply for a vote-by-mail ballot, by mail, for an upcoming election at any time, but not later than seven days prior to the election. 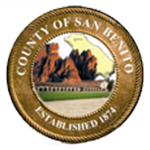 Applications must be submitted to the county elections officials no later than the seventh day prior to the election. The application to vote a vote-by-mail ballot is available as a PDF download by clicking on one of the links below. The English version of the statewide vote-by-mail voter application may be completed by typing your information directly on the online application. Once you have typed in your information, simply print, sign and date the form, and mail it to your our office. DO NOT SEND IT TO THE SECRETARY OF STATE’S OFFICE. Any registered voter may vote by vote-by-mail ballot. Rather than go to the polls to cast a ballot on election day, you may apply for an vote-by-mail ballot, which you will need to complete and return to your elections official. the date and your signature. Once your application is processed by our county elections official, the proper ballot type/style will be sent to you. After you have voted, insert your ballot in the envelope provided for this purpose, making sure you complete all required information on the envelope. If you are not sure your vote-by-mail ballot will arrive in time if mailed, bring it to any polling place in the state between 7:00 a.m. and 8:00 p.m. on Election Day. returning it in person to a polling place or the office of your county elections official. Vote-by-mail ballots that are personally delivered must be delivered no later than the close of polls at 8:00 p.m. on Election Day. authorizing someone to return the ballot on your behalf. Any registered voter may apply for permanent Vote-By-Mail voter status. If you are a permanent vote-by-mail voter, you will automatically receive an Vote-By-Mail ballot for each election. To become a permanent Vote-By-Mail voter, you must complete an application, which is available from our offices. See the links above. If you complete an application to become a permanent Vote-By-Mail voter, you will retain this status as long as you vote in all statewide primary and general elections. If you fail to cast a ballot in two consecutive statewide general elections, you will be removed from the permanent absent voter list and will need to reapply in order to restore status. Do not return Vote-By-Mail Ballot Applications to the Secretary of State’s office. Applications must be returned to the elections official of the county in which the applicant resides. If you need this form in a different format, please contact the Secretary of State’s Voter Services Unit.